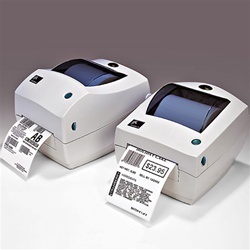 Description: Desktop Barcode Label printer. Label up to 4 wide. Connects USB Serial or Parallel. Ethernet option. All sorts of label choices! Absolutely perfect for FedEx UPS type labels for freight & shipping ... or inventory.